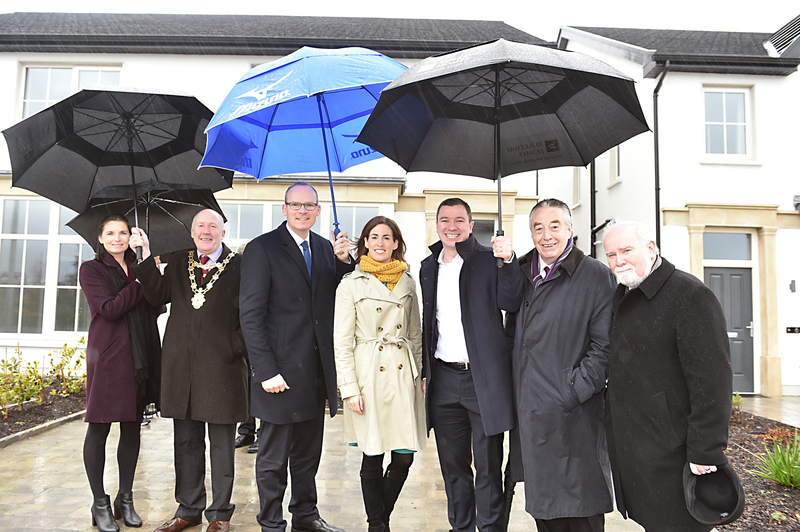 Burkeway Homes were delighted to welcome Mr. Simon Coveney T.D, Minister for Housing, Planning, Community and Local Government to Maoilín on Friday, 3rd March so he could see the high quality of design and build in the Maoilin Homes. Minister Coveney was accompanied by Tuath Housing Association, Galway City Councilors, Noel Larkin, Mayor of Galway & Local TD, Hildegarde Naughton. Minister Coveney was impressed and commented on the level of detail and thought in the scheme from energy efficient systems, solar panels and heat recovery systems within the houses and also the external amenities which include play areas, amphitheatre seating and an outdoor gym provided to the residents of Maoilin.